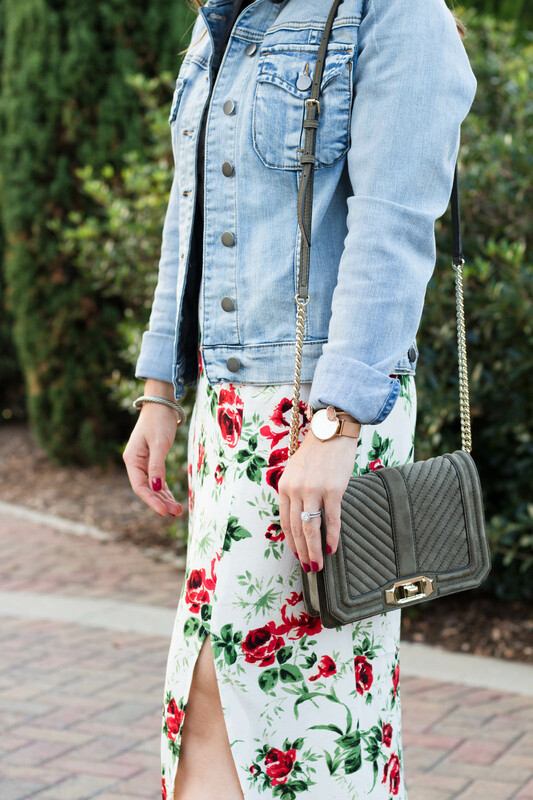 It’s no secret that I love me some floral print. My closet actually contains way more solid pieces, but every now and then I love a good print to make a bold statement. I scored this Topshop floral dress the other week on major sale and ended up wearing in on a little sunset cruise. It’s perfect for the transitional weather we have this time of year- not technically summer anymore but still in the 80s! Today I thought I would show you how you can style it for now and later, taking it into the cooler months of fall. Let me go ahead and add that this dress comes in a black version (which is more “fall-ish” anyway) and that this exact version keeps going in and out of stock, but you can always keep an eye out for a restock. Anything off-the-shoulder, or with a “bardot” neckline is a winner in my book. I love the fluttery sleeves on this dress and the two splits down the middle to show off a little leg. I usually wear a US 4 in Topshop but wearing a 2 in this so you may want to size down. 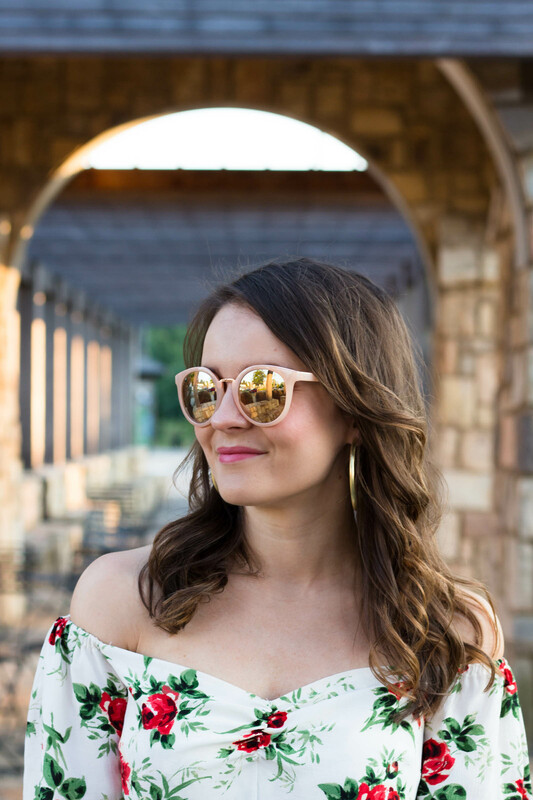 For the “wear now” look, I opted for fun pink shades, peep-toe booties, and my go-to Sheila hoops. 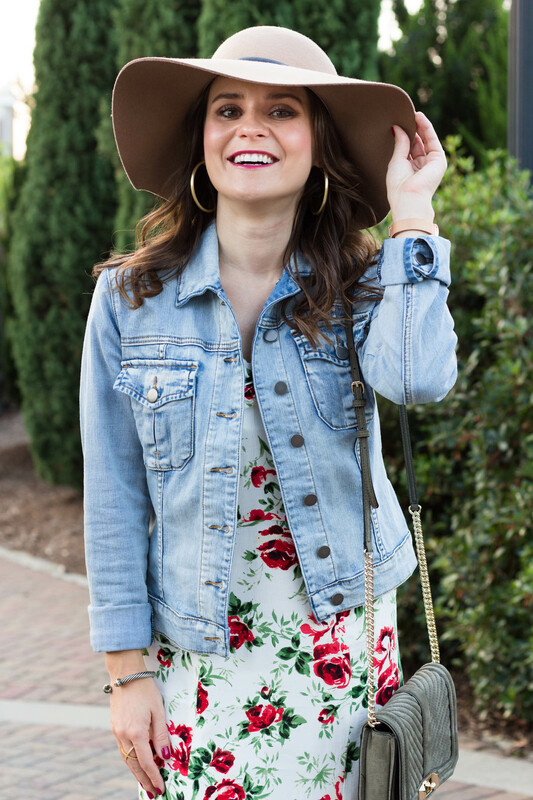 To make this dress a little more fall (and cooler weather) appropriate, I simply added a denim jacket, a wool hat and a suede crossbody bag. Here in the south, it doesn’t tend to cool down until late October sometimes and that’s why transitional pieces like this are key. We’re past summer, but not quite to sweater weather. This jacket also comes in a darker wash which would pair just as well. Hope y’all have a great Monday and thanks for stopping by! What a pretty dress! I love the second way you styled it for a more casual look. 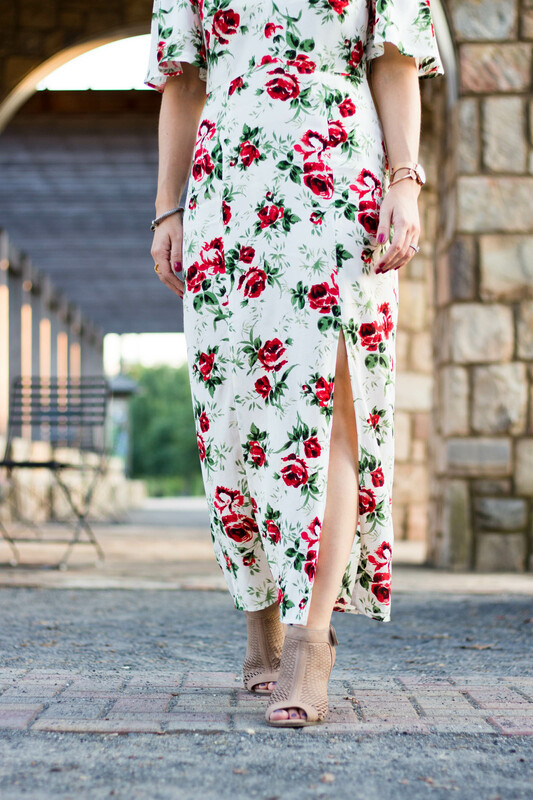 Such a pretty dress and goes perfectly with these booties! Love the added denim jacket, so cute. Gorgeous dress! Love both of the ways you styled it, especially with the denim jacket. So chic! LOVE this dress! Styled both ways to perfection!! Oh I love both ways you styled this. The jean jacket is a perfect touch! 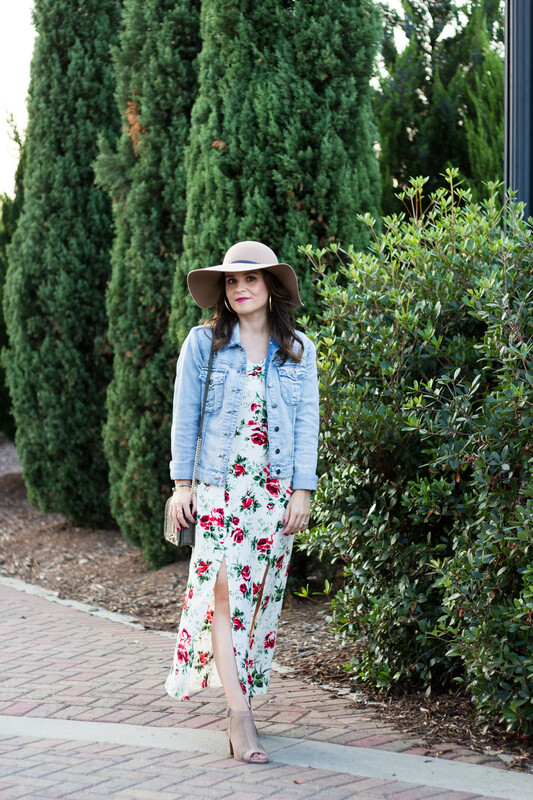 What a cute, floral dress! So pretty lady! I’m partial to denim jackets so I’ll have to say that look is my favorite of the two. 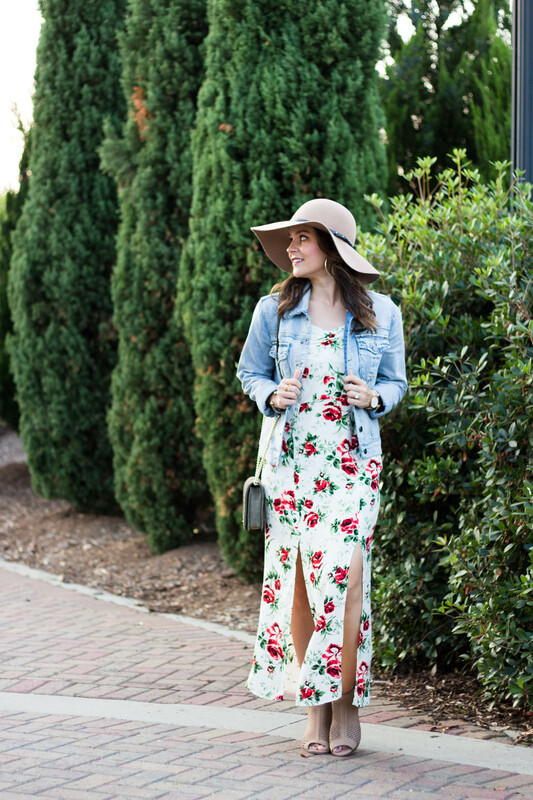 What a cute floral dress! 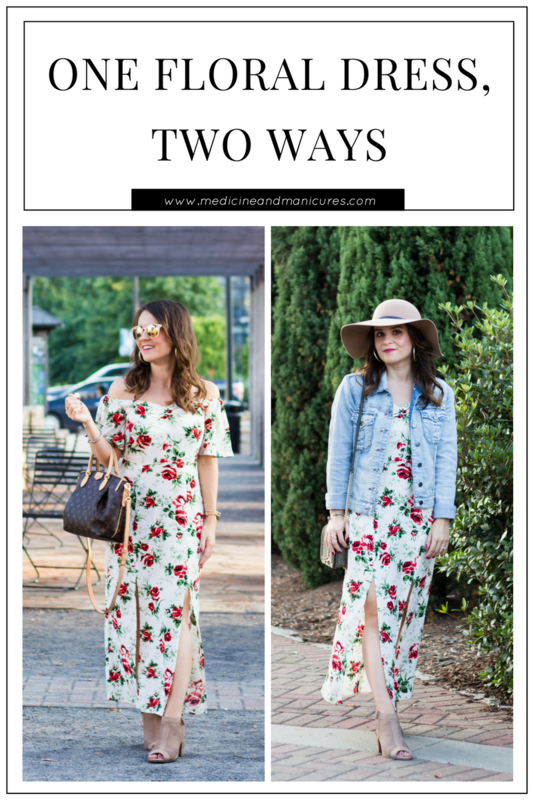 The second way you styled it is my favorite! I need this dress! It’s so gorgeous!